Rods-Crystal 2: Has larger crystal points inside offering a higher amplitude than the Rods Crystal. Ideal for group work, visioning and manifestation. Rods-Crystal 2: Has larger crystal points inside offering a higher amplitude than the Rods Crystal. Ideal for group work, visioning and manifestation. 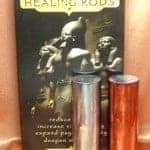 The Crystal-2 rods are ideal for Healers working with clients. Rods-Free Flow quickly balance Yin/Yang energies, are used for grounding and Mental Clarity. Ideal for correcting Yin or Yang energy imbalances. 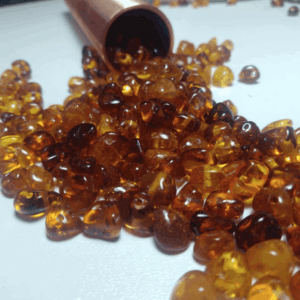 Rods-Crystal: stimulate mental and psychic energy, enhancing meditation and mental clarity. These high frequency rods quickly open all the chakras, stimulate circulation of vital energy, and are reported to amplify intentions. Rods-Crystal are an excellent choice for those who are accustomed to giving or receiving energy work. 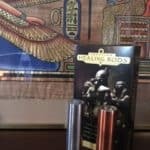 The Connectivity rods offer the same benefits as the Quartz-3 rods while also opening a portal to higher etheric planes in mediation. Ideal for connecting with your Spirit Guides. They are useful for conscious meditation. The Rods of Connectivity will magnify your conscious connection. Quartz 2 rods are reported to gently enhance well-being. Rods-Kont have a grounding and relaxing energy. They are an excellent choice for those who are new to energy work because they gently open the bio-field for greater expansion. The Rods-Kont fortify your energy body. Quartz 3 offers a higher amplitude of the Quartz energy. These Rods have more crystal content.